We already discussed the fundamentals of Enterprise Java Bean . Also we discussed EJB Stateless Session Bean and EJB Stateful Session Bean with examples.In this chapter we are discussing an example which illustrates the difference between both stateless and stateful session beans. A stateless Session Bean , as the name implies , does not keep a conversational state with the calling client. In other words , if a stateless session bean has two business methods , and if a client is simultaneously accessing both the methods. Then we cannot guarantee that the state of the bean remains the same. If another client is trying to access the bean , the container may give the existing instance to that client. So the state can be modified by the new client. In case of a Stateful Session Bean , a conversational state is maintained between the client and the bean. In other words there will be separate bean instances for each client.So state for a client cannot be changed by a new client. Now let us discuss the life cycles of each type of beans. 1)In case of Stateful Session Bean , the life cycle starts when the client invokes the bean. There are only two states in a Stateless Session Bean life cycle . 2)Ready for invocation from client. 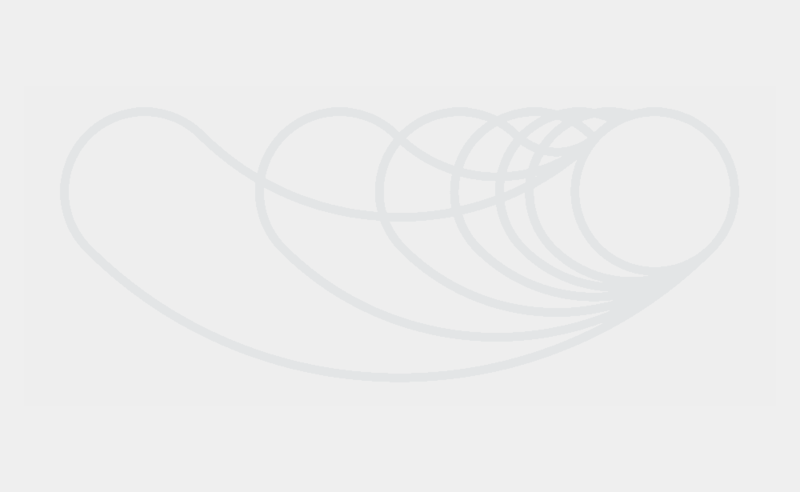 The EJB container creates a pool of beans and does the necessary dependency injection. Then , if a method with @PostConstruct annotation is there ,it will be invoked.Now the bean is ready for client invocation.If a method annotated with@PreDestroy is there , then that method will be invoked at the end of client invocation. Now the bean is ready for garbage collection. Now we can discuss an example which compares both types of beans. Each bean has two methods. 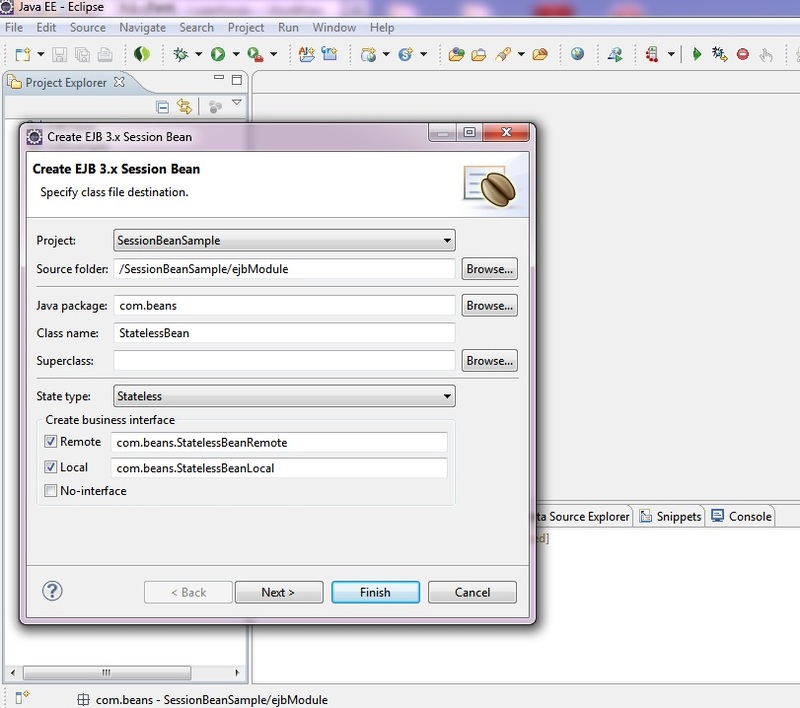 First method sets a String attribute to bean .Second method Retrieves the value of attribute.The client application has two bean references. Client invokes the bean methods simultaneously . In case of Stateless Session Bean , the bean is not keeping a conversational state with client. In case of Stateful session Bean , bean keeps a conversational state with Client. In other words , in case of a Stateful Session Bean, the two bean references from the client are unique. In case of Stateless Session Bean, the same reference can be reused by the EJB container . 1)Install Java EE SDK. Download and extract JBoss and Eclipse to appropriate locations.Open eclipse in a suitable workspace. 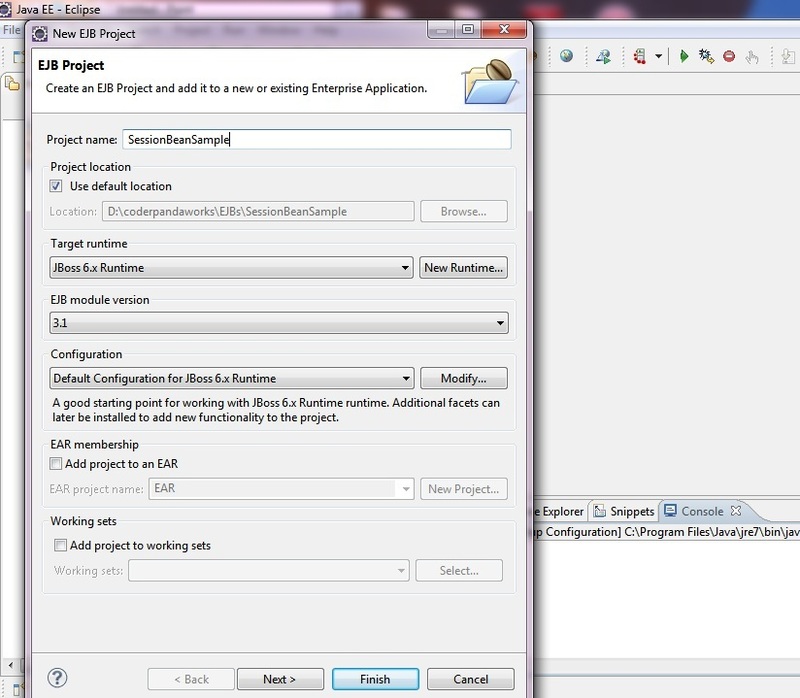 2)In eclipse , start a new EJB Project by File–>New–>EJB Project. Give suitable name to the project. In our case , it is given as SessionBeanSample. Select EJB version as 3.x and run time as JBoss 6.x. 3)Now right click on the ejbModules . Then select New –>Package.Give suitable name as package . In this example , we are using com.beans as package name. 4)Right click on the package . The select New–>Session Bean.Select State Type as Stateless.Give the name as StatelessBean.Select both local and remote options for interfaces. Press Finish.Now the interfaces and class will be created. paste the contents as given. 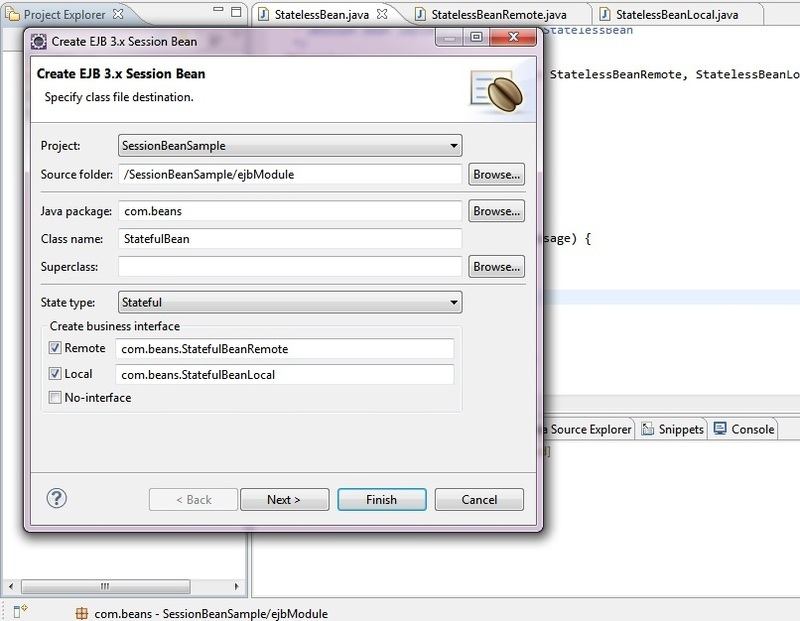 5)Right click on the package name and New–>SessionBean.This time create a Stateful SessionBean. Press Finish . Interfaces and class will be generated. Now paste the contents as given. 6)Now right click on the server tab and create new JBoss 6.x server instance.Add our SessionBeanSample project to server run time. Then start the server.Once the deployment is done.The JNDI details will be displayed in the console. 7)Now let us create a client project .Create a dynamic web project with JBoss 6.x as target run time.Create the following classes in it. System.out.println("Message from Bean in main:"
System.out.println("Message from Bean in doLookup:"
The output indicates that the same bean reference is reused by the container. For the second access , the existing instance is reused. The output indicates that different instances were created for each access from client.